I always dreamed of residing on a houseboat, but have never really had much insight into living on water and never experienced driving a boat. A boat trip starting from Bellegarde on the Canal du Rhône near Nîmes in southwest France was a great opportunity to realise this desire of mine. Living on a boat is a very much simpler way of life, in a limited space similar to a tent or caravan on a camping site but with added luxuries. The experience of life on the boat was a new adventure in itself, and exploring the canal’s calmness, tranquility, emptiness and silence was another. The slow-motion boat was floating at the same pace as the fishes in the water and birds hovering above the canal. I was looking at other boat users and people navigating or mooring near the port, observing the reality of moving from land to life on water. It felt like joining a club, mixing with a new community, looking for new opportunities, different adventures, and opening a new window on our complex world. 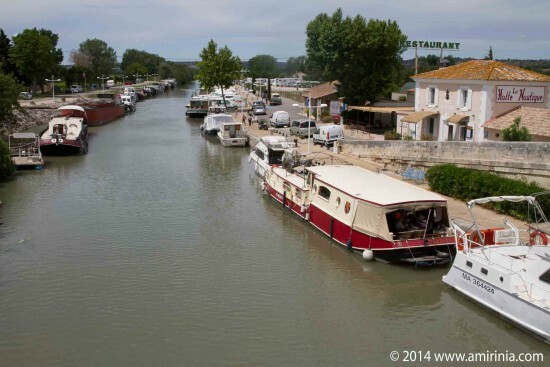 The 60 miles of canal connects the Rhône River flowing from Beaucaire to the Étang de Thau at Sète and passes through the Camargue Regional Park, which is in a vast delta formed by successive displacements of the Rhône. We navigated through the canal edged by low green bushy trees before we saw the flat countryside: nice green open fields with a small number of trees scattered in some places. There were many fishermen sitting quietly by the canal waiting to catch their dinner. 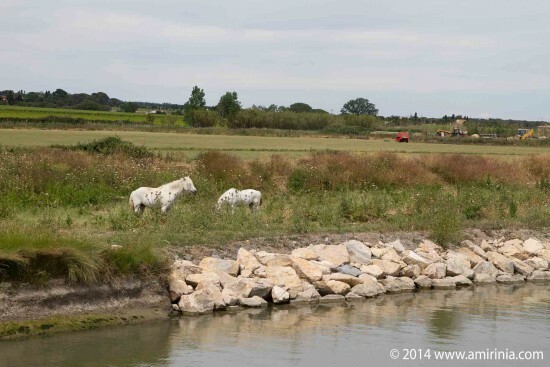 The Camargue horses raised in the regional park are another visible beauty in those green open fields. We cruised gradually down the canal at a speed of 6.5 km/h, slower than the runners and cyclists who passed us by effortlessly. We were forced to learn patience and calmness because of the slow pace of the boat and the hidden energies of nature that filled the air. 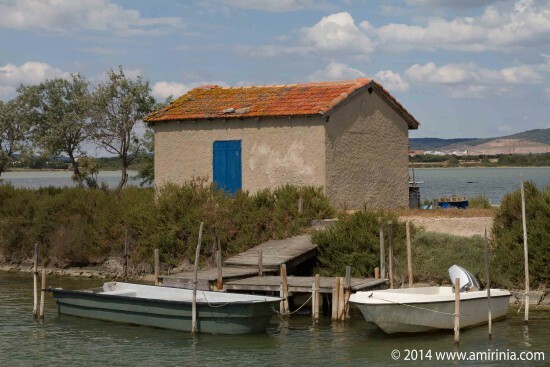 We carried on our journey through French waterways passing wetlands, lakes and saltwater lagoons close to the sea, the marshlands covered by water spikes and sea grass. The Canal du Rhône, constructed around 1800, is at sea level, mostly in a straight line along lagoons in very close proximity to the Mediterranean. There was only a narrow strip of land separating it from us but we could not see the sea. As we passed through these canals the river water turned into seawater and the scenery changed as we watched birds flying round the boat, back and forth. A grey heron was guarding the waterways, watching over us strangers entering its territory. As we approached slowly, it took flight and landed further out in front of us. It continued this performance several times before returning to its nest. A mallard, used to the presence of man, approached the boat in search of food. Bee-eaters looked for tasty insects, butterflies and bees in bushy banks, hiding in shrubs along the canal. 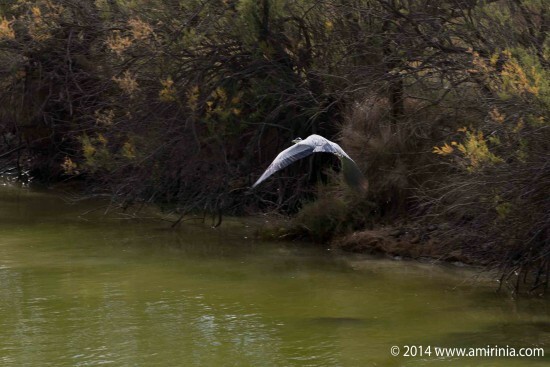 Other wild birds flew rapidly over the canal, diving deep to catch a fish. The intensity and variation of the birdlife was remarkable. I watched the movement of the wind and skies, waited for the right moments to photograph the birds which were flying rapidly away from me, flipping low over the water, showing the white and black flickers on their wings. As the drama unfolded around me, my eye stalked the flying species, getting inspiration and gathering a new perception of a bird’s life. I wondered about the intelligence of migrant birds, wintering in Africa and seeking a milder climate in spring, coming to reproduce in the Camargue. 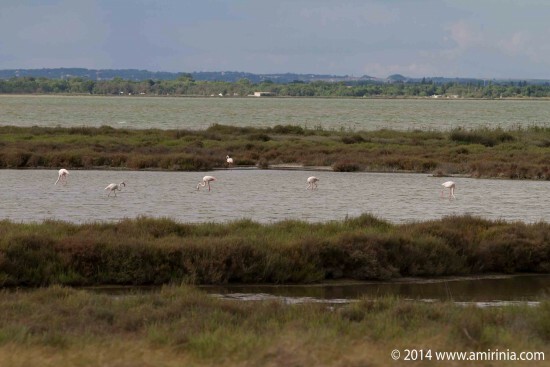 The symbol of the Camargue and one of its most popular species is the pink flamingo. They have a colony in these waters in summer and normally leave in autumn for Spain or Tunisia. Our journey on the Canal du Rhône ended at the Étang de Thau. We were told not to go through it in windy weather as the wind could push the boat out of control towards the shell farms on the north side of the lake and ground our boat. Fortunately, the winds were gentle and we managed to pass Sète and go very safely through this large lagoon. It was like navigating in the sea, surfing the waves. There were very few boats going through. The only other sign of life was the birds and a few people kite surfing. 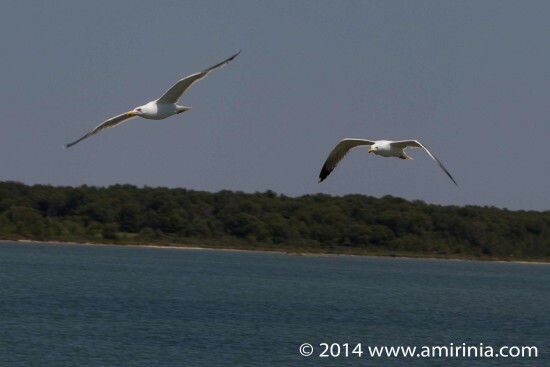 The reserve of the Camargue is a paradise for over 350 species of resident and migratory birds all year round. The Canal du Rhône with all its fauna and flora is undoubtedly a privileged place for ornithologists and has a lot to offer boat lovers, too. 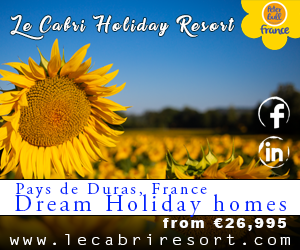 More information and ideas on boating holidays in France.